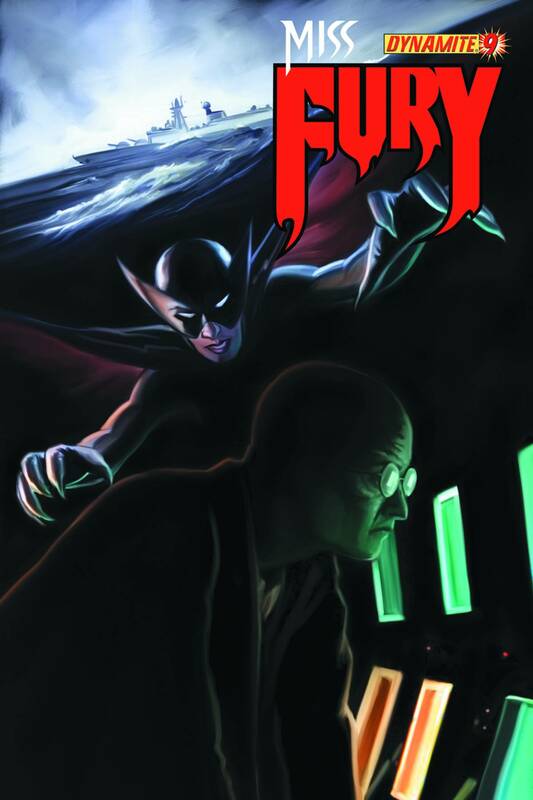 With Miss Fury now working undercover as The Pharaoh Of Time's chief assassin, she is sent to a Philadelphia shipyard to murder a nuclear physicist who could become a time travel threat. But that physicist is working on The Philadelphia Experiment! In the battle that follows, Miss Fury, and the crew of the USS Eldridge, find themselves thrown through time... into a naval battle unlike any seen before. Can Miss Fury save the scientific mind that could finally end the time war?